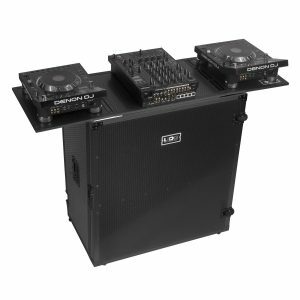 This stand is designed for bigger cd player models like CDJ 750 – 2000 but can be used for any table top CD player that fits the plate size 370 x 320mm. 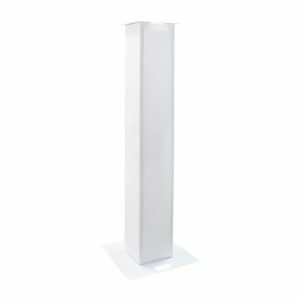 The base is a heavy 5mm steel plate that ensures a solid ground. 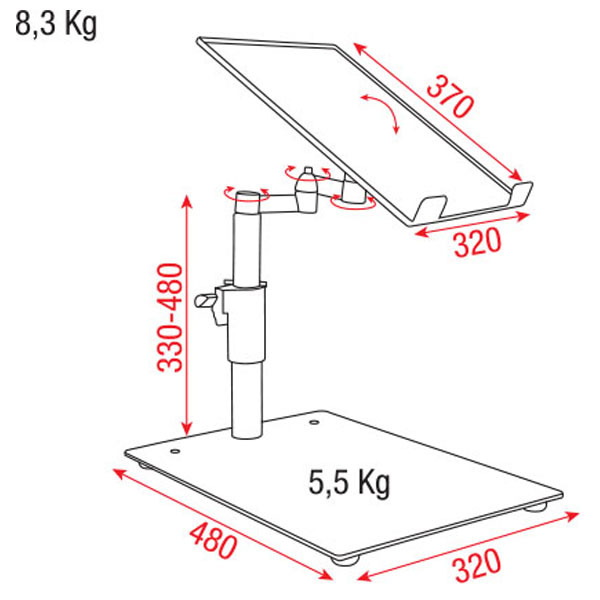 The plate can be angled into your desired position, the arm has 3 rotation points and the in height adjustable pipe can be placed at 3 positions. 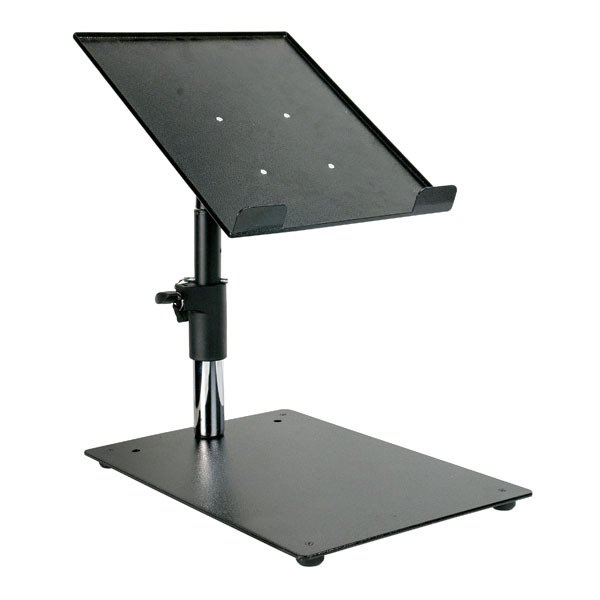 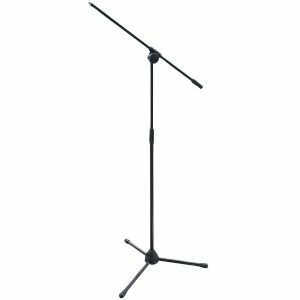 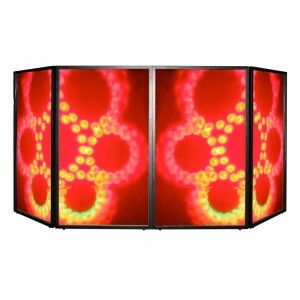 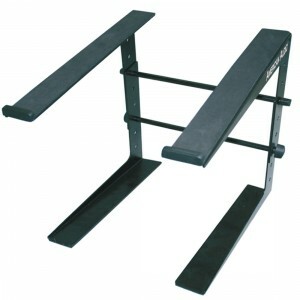 This solid stand gives you maximum flexibility with a stylish finish.